There is a lot of Retrograde action going down in April and it is your job to ready for that brings to you. 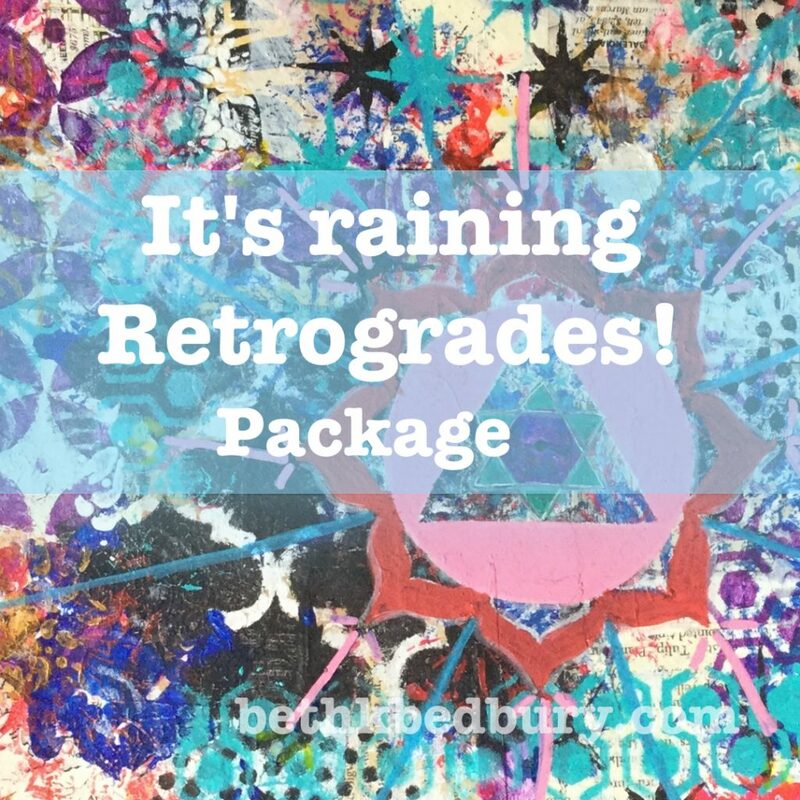 It is Raining Retrogrades! There’s a chance for transformation to come out of working with the planets that go retrograde this month. This package is geared to helping work with what’s going on to get the change you want and need. Nothing is more of a bummer then getting floored by energies that can happen with an Rx. I’ve been here. I know it is like. That’s why this is aimed at bringing in empowerment and compassion. There are a couple of biggies that can take you out if you aren’t paying attention. Get ready with the Raining Rx Package to bring in flow, ease, direction, and get what you want in your life.